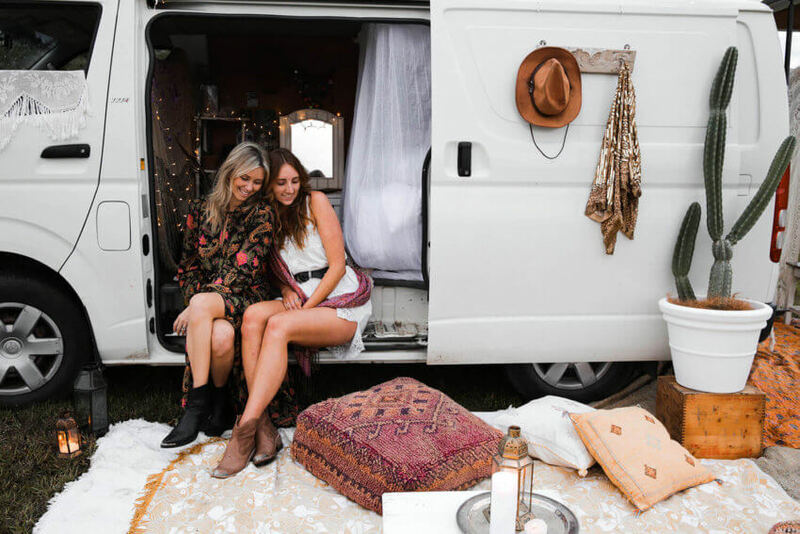 Festival Van Inspiration for the free and wanderlust! Hey, Lovelies. I've been obsessed with boho vans lately. Stumbling on this blog from Spell Designs I just had to share it with you! This is just the best festival van inspiration ever! Don't you have that secret wish to just leave everything behind and live your life on the road free as a bird? “That moment when you’re wandering back to the festival campground, arm in arm with your best friend and still abuzz from the magic that unfolded throughout the day. Parties spark up like wildfires, celebration scattering amongst the campground as the crowd continues the party into the night. 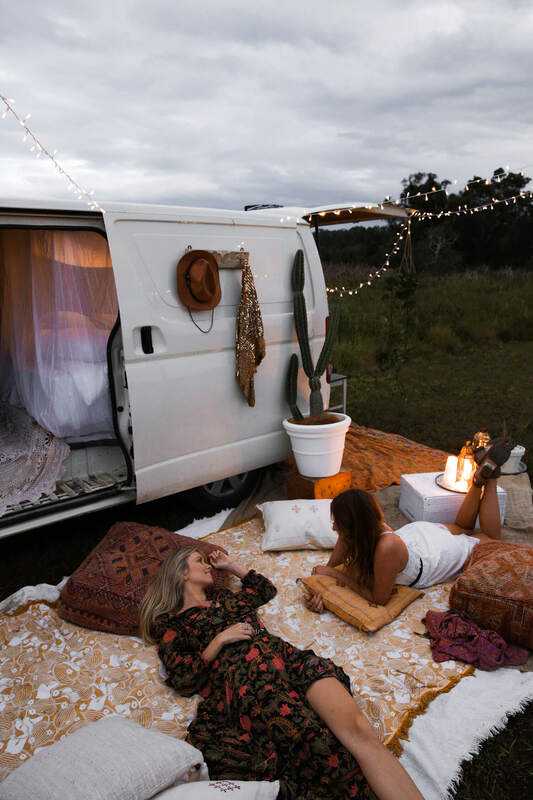 There’s nothing like coming back to your van, tent, or wherever it may be that you're resting your head for the night, and finding yourself in your own little haven – a beautiful space aglow with fairy lights and ready to be filled with ever-lasting moonlit memories with your crew. Festival Van DIY created by Lucyinthesky and Lisa Danielle for Spell Designs. What do you think of this Festival Van inspiration? Isn't it just amazing? I can see myself driving from one festival to another in my own little boho world. I just need to convince my boyfriend it's a good idea and where do I leave all my boho dresses??? All pictures are courtesy of the Spell Designs blog.